Tucked away in a former pilchard cellar behind St Ives Harbour, a tiny theatre that seats only around thirty people, so you are right up close to stage. They are staging three theatre productions in September. A one man comedy show inspired by the Cornish landscape, people, folklore and the pasties! Drenched imaginatively combines storytelling, stand-up and poetry. Saturday 9th, Sunday 10th and Monday 11th September 2017. Performances at 5.00 pm and 8.00 pm. The Hope Springs Restaurant holds a murder Mystery Night. Disaster strikes when the Chef doesn’t turn up and guests start disappearing. Who will survive to solve the mystery in this murderous comedy? 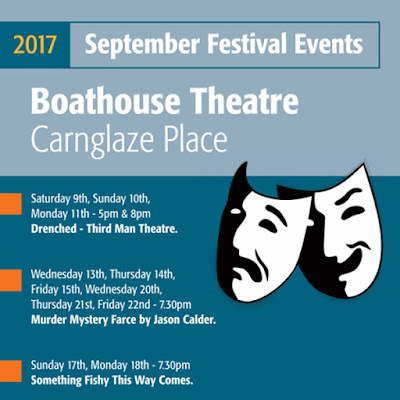 Wednesday 13th, Thursday 14th and Friday 15th September 2017. Wednesday 20th, Thursday 21st and Friday 22nd September 2017. Performances start at 7.30 pm. 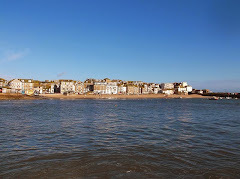 When a TV show comes to St Ives, Presenter Clive Andrews interviews eccentric locals to try to get a flavour of the area. Be prepared to hear stories that should be taken with a large dose of salts. Sunday 17th and Monday 18th September 2017. Author Beryl Beare returns with her popular dream interpretation night. After a short talk Beryl will try to interpret your dreams. Evening starts at 7.30 pm. Advance booking is highly recommended - as seats are limited.